Wow, what a great October meeting! Thank you Virginia for sharing all your tips and tricks! 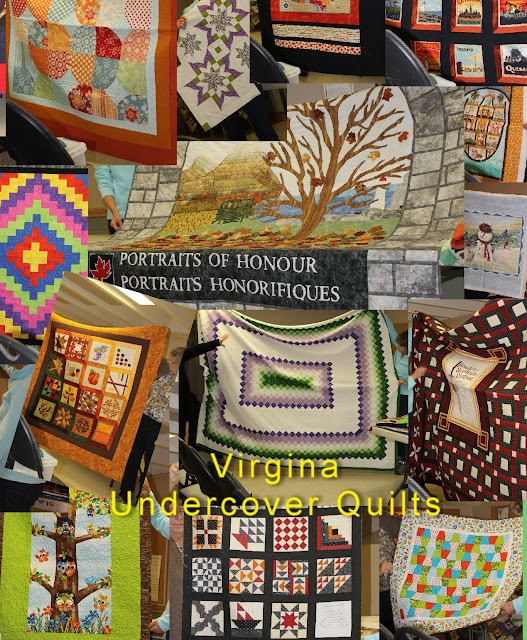 From "flimsies" to the Portraits of Honour Quilt Virginia's work is inspirational. Please join us the second Monday of November for our next meeting. Join us for a presentation by Deb Biernes.